I’m a word-nerd. 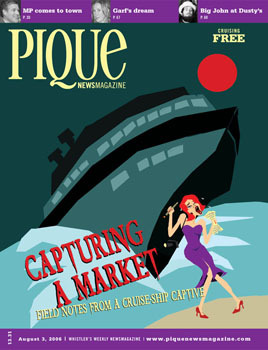 Words are my fancy and my fetish… but working with illustrators, art directors and graphic designers over the years continues to supersize my respect for their ability to turn words (be it a tagline, a 2 page creative brief, or a 2000 word story) into pictures. I’m not sure if the 1000 words per picture equation is always accurate… but here are some favourite collaborations. 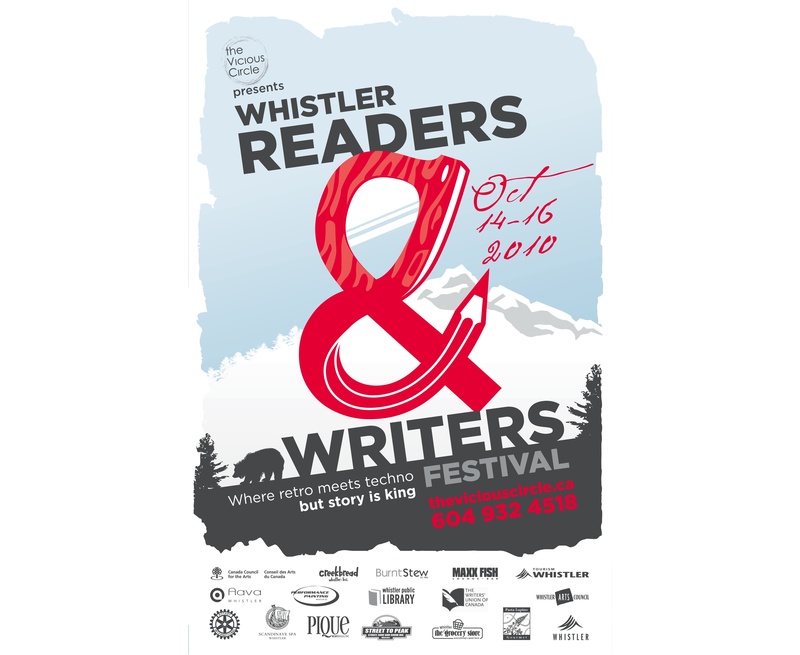 Pique designer Anja Werner created the promo poster for the 2010 Whistler Readers and Writers Festival, armed only with an inarticulate brief about the event being "feisty and fresh", "a gathering", with "a strong sense of place." 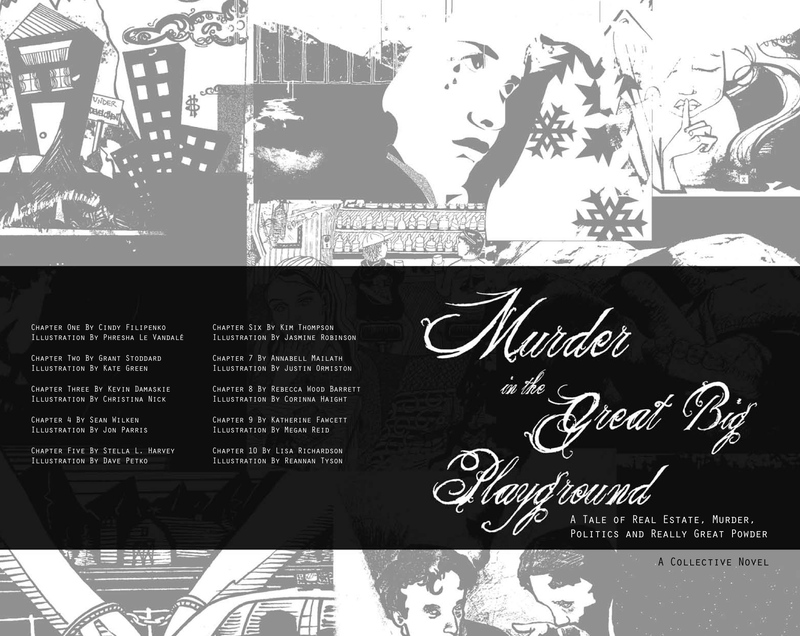 One of the biggest-scale writer-meets-illustrator collaborations I’ve been part of was the 2008 Collective Novel, Murder in the Great Big Playground. Ten writers and ten individual artists joined forces to scribe a novel, relay-style, passing the torch chapter by chapter. Jasmine Robinson created the cover for a collectively written and illustrated novel that resulted from a 10 week, 20-person collaboration. 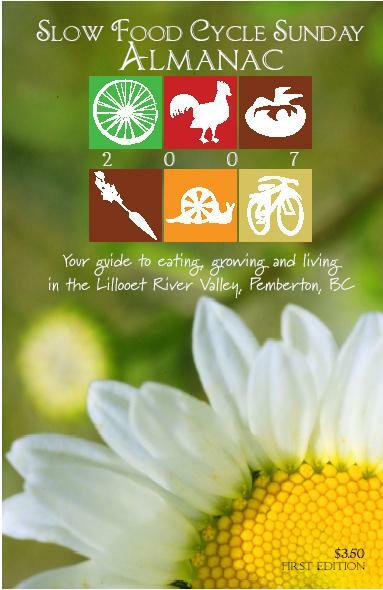 I’d been seduced by Lisa Komuro’s combination of design-magic and mental telepathy skills when we worked together to produce the Slow Food Cycle Sunday almanac in 2008, so I was stoked to be able to recruit her talents again for the 2010 summer Choose Pemberton campaign. Art design for the almanac was done by Sumire Design's Lisa Komuro. A choreographer could probably explain best how to bring two people together in creative sync: certainly, some chemistry helps. Finding a simpatico partner in crime makes the dance so much more intuitive. And it’s good to know when to yield the floor and when to let someone throw you in the air. Risky? Maybe. Exhilarating? Definitely. 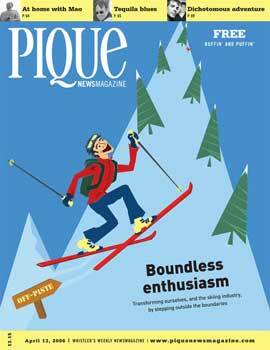 Previous Post Buyers Guide for alternative ski-freaks – a resurgence of hand-made skis?